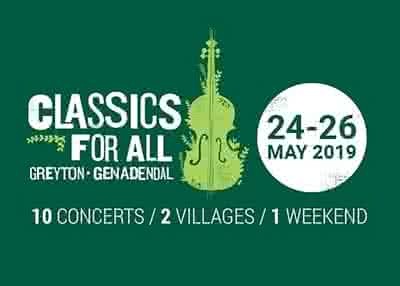 The gala concert of the Classics for All Festival features the cream of classical talent in South Africa. `Of Plants and Animals: Baroque music inspired by various aspects of nature, including birdsong imitations, an ode to a tree, a yearning for the simplicity of a pastoral lifestyle and a description of one of the biblical plaques. SING presents a programme of opera arias, classical musicals, art songs, Spanish Zarzuella arias and tango music. Formerly known as Pro Cantu, the Cape Town Youth Choir aims to provide an opportunity for young South Africans to sing in a choir of the highest international standards while delivering a moving musical experience to its audiences. The three cellists of Rosanthorn share an exciting vision for the Cello - to revisit and re-position an instrument that is often overlooked. The result is an act that leads the way in the electric string genre. A concert for children of all ages, performed by young classical artists between the ages of 9 - 14. Adults also welcome!